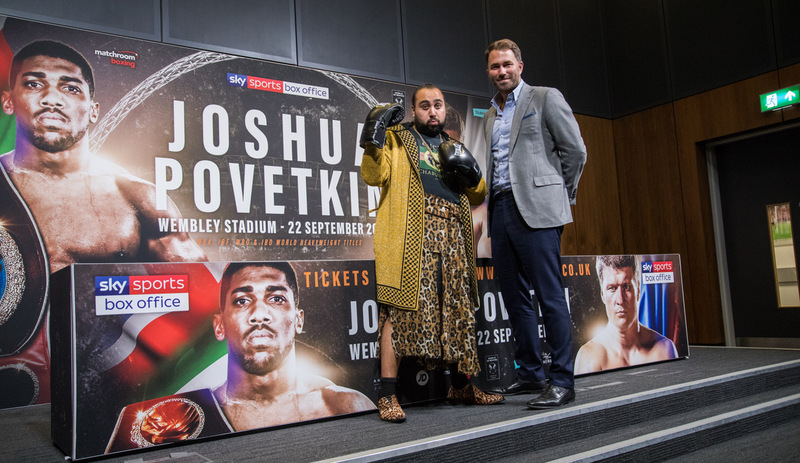 In the build up to the huge Heavyweight clash between Anthony Joshua OBE and Alexander Povetkin at Wembley Stadium Connected by EE on September 22nd, one of the UK’s most prestigious business men and entrepreneurs, Chabuddy G, has given up some of his valuable time to teach Eddie Hearn the real art of promotion. Despite the fact Matchroom boxing has sold over 450,000 tickets in 18 months, putting on an unprecedented amount of stadium fights, Chabuddy still feels Eddie has a lot to learn and in a series of videos released today he endeavours to impart some serious knowledge. Stay tuned for more from Chabuddy over the next few days…. Joshua will defend his WBA Super, IBF, WBO and IBO Heavyweight World titles against WBA mandatory challenger Povetkin at Wembley Stadium on September 22, live on Sky Sports Box Office and DAZN in the US.